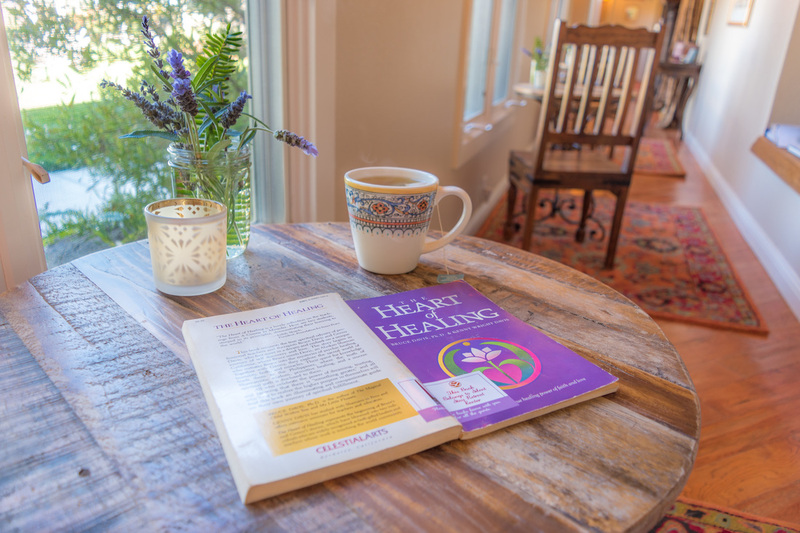 The program of heart centered meditation 2 x a day is offered by teachers with over 45 years of meditation experience is included in daily rates. With each retreat a complimentary private meditation/awareness session if given. 2 Sitting meditations at 9 am and 7 pm​. Spacious afternoons to practice living in the quiet heart, walking meditation, reading, journaling, resting, swimming. Learn the keys to directly experiencing the wisdom of the spiritual heart. We are are a 501 c3 Non Profit. Donations are accepted for our scholarship program and are tax deductible. We use Bio friendly soaps & essential oils for cleaning the retreat center. 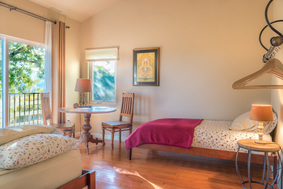 Silent Stay Retreat Center, only 1 hour and 20 minutes from San Francisco, is a private gated estate property. 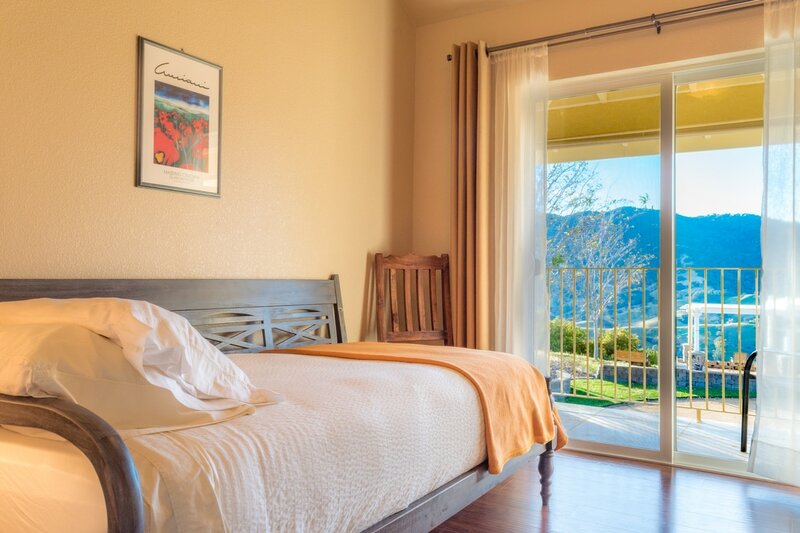 It is perched on a hilltop overlooking Pleasant's Valley near Lake Berryessa. We have 25 acres and are surrounded by other large agriculture properties. We have hiking trails, a salt water pool, spiritual library and mountains of peace and quiet. This is a private gated estate with a maximum of ten guests. 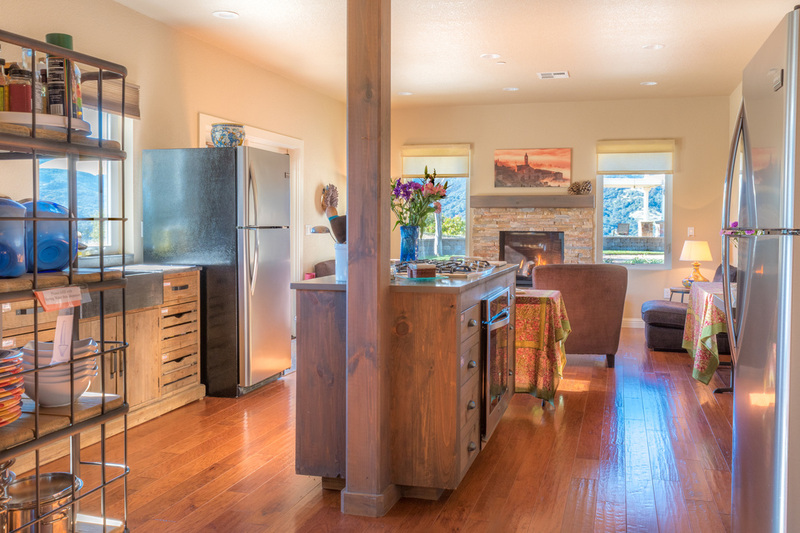 Prepare your own meals in a beautiful & fully equipped kitchen available all day. ​Bring your own fresh veggies, fruits, proteins, meats and fresh grain products. We have many basics on hand. Organic markets nearby with fresh pre-prepared meals. Our water comes from a natural spring & is good for you. We provide reverse osmosis water as well. Arrival day: Guests arrive between 3-4:00 pm. 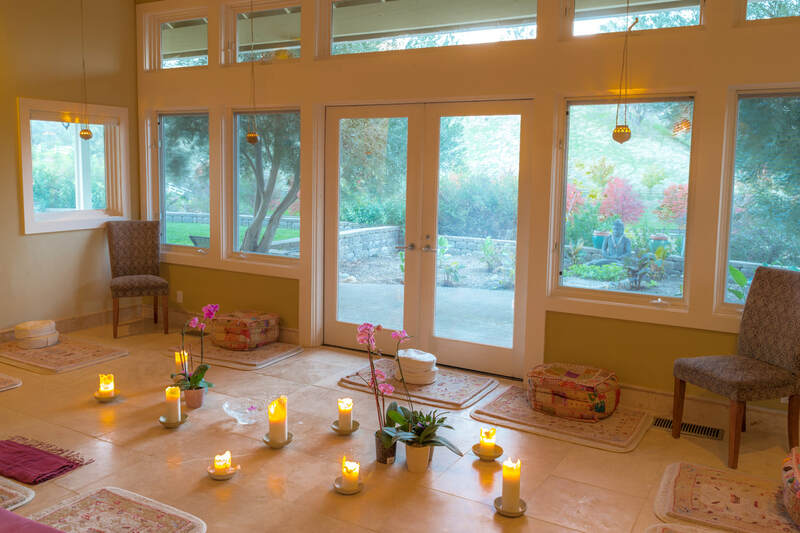 For new guests we provide an orientation at 4:30 pm with meditation starting at 7 pm. Departure day: The retreat ends after morning meditation. Please note: We only have six guest rooms. Therefore, if you need to cancel please email us as soon as possible. Your deposit can be transferred to another retreat with us if cancelled 3 weeks before the start of your retreat and is good for up to one year. If you cancel within 3 weeks of the start of the retreat, room & retreat costs are non-refundable and non-transferable. Massage treatments: Are non refundable if cancelled with 48 hours of start of treatment. ​See discounts for returning guests. Registration Fee: There is a one time registration fee of $35. This fee is waived for returning guests or Kaiser employees. 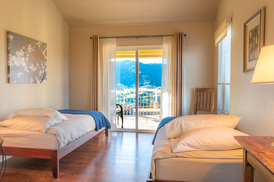 Our Commitment: We are committed to making retreats affordable to everyone. If you or someone you know needs assistance to attend please contact us for partial scholarships. Silence: We provide as much outer silence as possible, but we are not responsible for natural noise from the neighbors or community. We do not schedule construction during retreat periods. Once a week, or every other week, landscapers keep up the grounds. As necessary there is cleaning and occasional maintenance at the center. 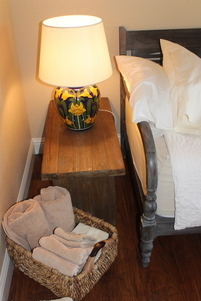 We are cultivating inner silence while doing our best to give our guests an environment of genuine peace and quiet.